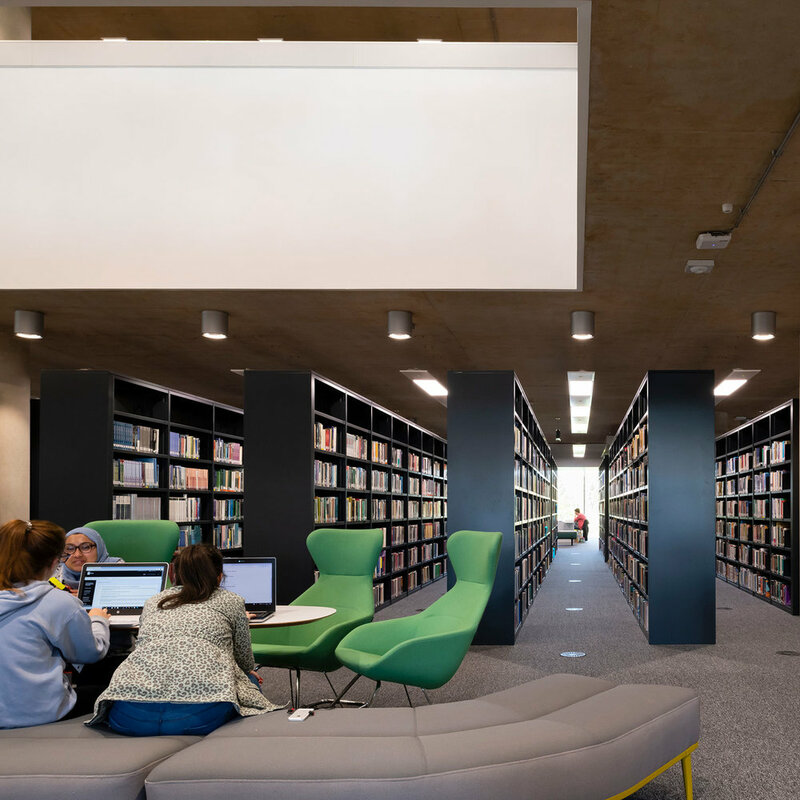 The Learning Hub is at the heart of the new Waterside Campus and houses the Library, shared general teaching areas, specialists’ skills spaces, student administration, academic workspaces and catering. 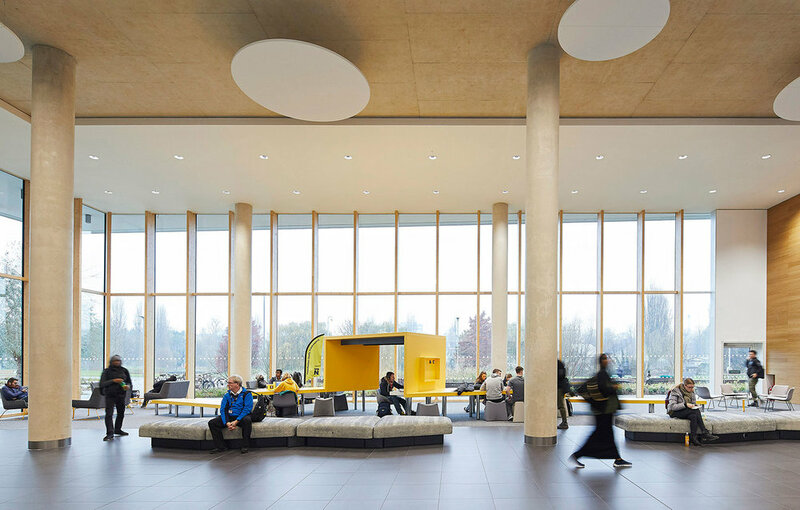 It is open 24 hours/day and the brief is the result of a radical rethink about how teaching, learning, work and social space can be collected under one roof. The building has been designed to be the primary academic and social focus for the new campus. It combines multiple functions across four floors and is enlivened by daylit interconnecting volumes which play a vital role in making the whole facility legible and navigable. The open and transparent envelope connects riverside amenity space through to the centre of the campus via a series of gently stepped spaces at the ground floor onto a south facing trapezoidal lawn. 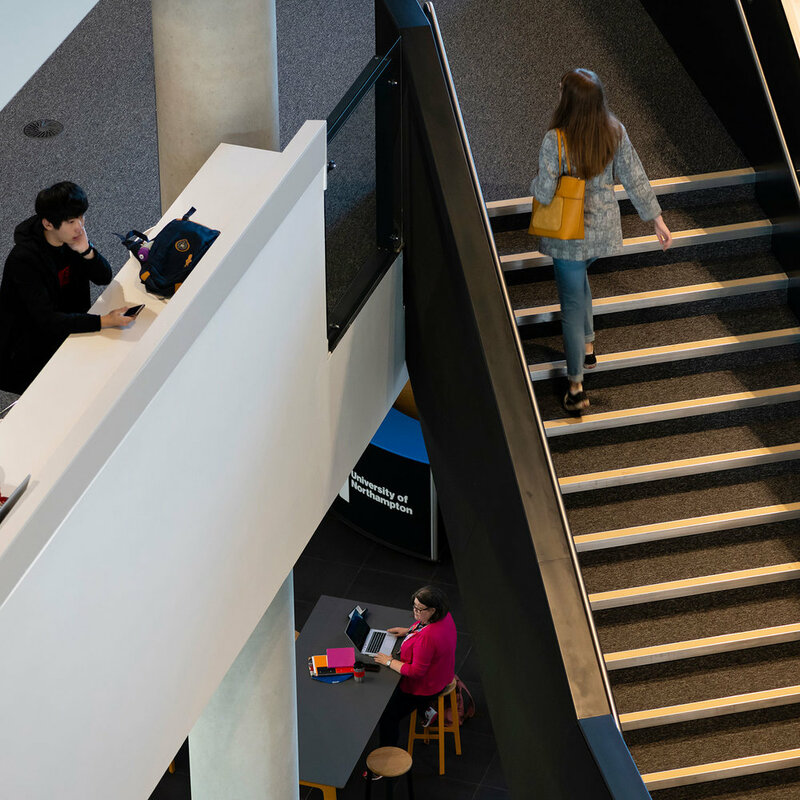 The upper floors open into a series of terraces and other accessible external areas to provide a rich environment for learning and socialising- extending the active learning and study environment from inside to outside. Academic staff from across the whole university share carefully planned task-oriented open plan areas with great views across the river toward the town centre. Post tensioned, water cooled floor slabs, user controlled ventilation panels and a balanced solar shading strategy form an integral part of a comprehensive passive environmental strategy with the building also connected to the central campus biomass boiler plant.Delapre Walk which will eventually lead across campus to Delapre Abbey runs along the west face of the Learning Hub.